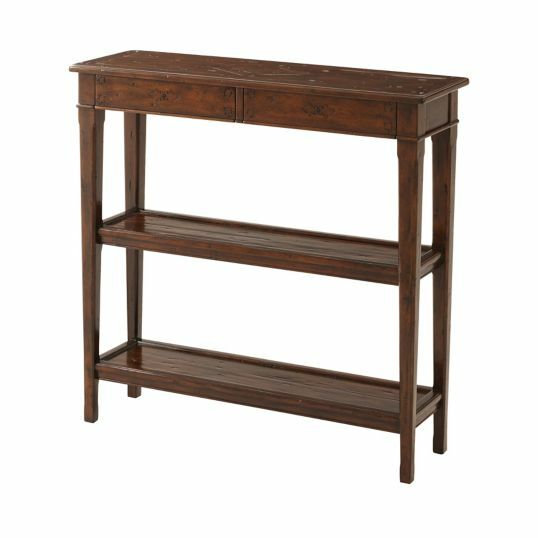 An antiqued wood console table, with two frieze drawers and two further tiers between square tapering supports. Shown in Castle Bromwich Finish. The original French Provincial.